The clip shows dad Daniel Eisenman talking into the camera when his daughter Divina starts crying. NEW DELHI: If you are a new parent who has still not figured out the best and quickest way to put your baby to sleep, this video may just come in handy. A dad's video of putting his baby girl to sleep is currently going insanely viral all over social media. In his short clip, San Diego dad Daniel Eisenman does something so simple yet incredible that his video has collected over 34 million views since being shared on Facebook on April 22. Mr Eisenman was doing a live video on Facebook when he showcased his trick. He later shared that exact portion of the video and it subsequently went viral. 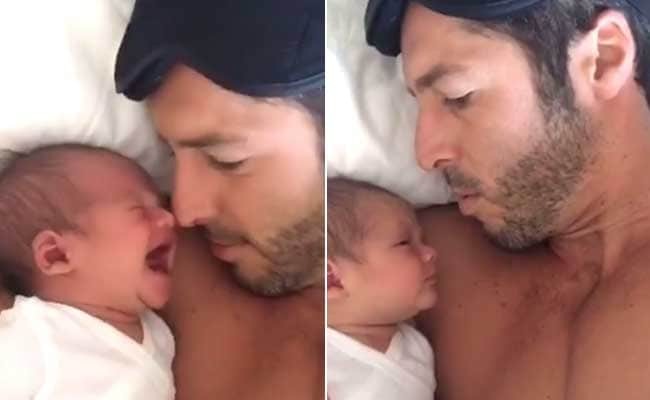 The clip shows him talking into the camera when his daughter Divina starts crying. So he stops talking, looks at his daughter for a few seconds and starts chanting 'Om'. The baby almost immediately calms down and instantly falls asleep. People on Facebook seem extremely impressed with this trick. 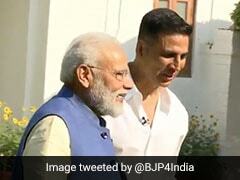 The video has also amassed over 3.6 lakh shares and more than 2.4 lakh reactions in addition to the millions of views. "The power of the OOOOOOOOOOOMMMMMMM... vibration calm baby and dad, change the energy flow," says one commenter on Facebook. "Truly beautiful," says another. Many others have commented saying they've tried similar tricks to soothe their babies. "I use to hum in my grandsons ear and it worked wonders. Then as he got older it was funny because if he was stirring in his sleep he would hum himself back to sleep. It works," says one Facebook user. "We used to do this with our son on those nights when it seemed like nothing else was working. It came very intuitively, for whatever reason, and typically calmed him within a couple of minutes," says another. Tell us what you think of this video in the comments section below.